In a year where synthwave and dungeon synth have started to rise to the fore of the underground heavy music scene it's been interesting to see the tendencies towards fantasy and the ethereal. It's also interesting to see Acid Witch's very own Slasher Dave coming in with his own twisted bleak industrial take on things with his fourth solo record Frights. Eerie, powerful and wonderfully demented this is the kind of sonic blasphemy that few can truly match. While this record may be a touch corny, the Hammer Horror schlock is part of the fun and is going to entrance countless listeners. The mixture of intimidating and intense industrial grooves with more traditional horror themes is really interesting. 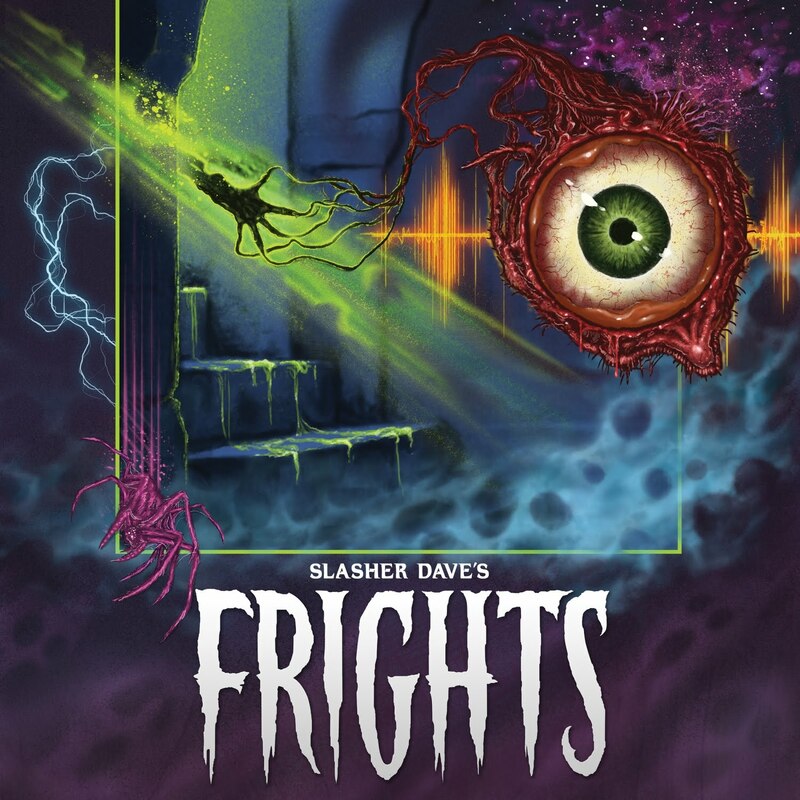 Toss in vocals replete with ducked up vocal effects and all sorts of strange musical twists and turns and it becomes rapidly obvious that Slasher Dave is turned on to a much darker reality than many of his peers. The bizarre and spine chilling magic of Slasher Dave's work here is a sound to behold. While it is a distinctly modern record, Slasher Dave does a great job of fusing eighties elements into the fray. Still, listeners can hear a wealthy set of influences coming in from all over helping to inform the freakish tension of the band. This isn't just an ode to a specific era of horror though. Tracks like Shrieks and Creaks reminds us that this stuff all comes from Lovecraft and his peers after all. While never dreamy, certain elements of Frights are almost reminiscent of the sounds on Them. An excellent fusion of musical styles with dance elements crashing into outer sound, whilst exploring unorthodox sonic ideas and tone worlds, this is a huge step forward for Slasher Dave The darker it gets the more I fall in love, so I ask, are you ready for this Halloween release?